It concerns the qualification and certification of seafarers and this by the issuing of certificates, endorsements and complementary training certificates in accordance with the requirements defined in the STCW Convention as amended and defined by the legislation in force. Decree No. 1778 of 2002, published on 3th August 2002, supporting the determination of the obligations for the realization of the seafarers’ functions on board ships for those holding an appropriate crew and control register. Order of the Minister of Transport published on 02 March 2005, supporting the determination of the model, validity and obligations for obtaining the certificates and endorsements required for the performance of duties of seafarers on board ships for those holding a crew register. The orders of the Minister of Transport supporting the determination of the model, the validity and the obligations for obtaining the required complementary training certificates. It Concerns the inspection and enforcement procedures on maritime labor and monitoring of good management on board commercial vessels, in accordance with the laws enforced, especially with the ratification of the MLC 2006 convention by Tunisia and its approval during the month of May 2016. The treatment of marine issues and the issuance of maritime titles (Certificate of competency, endorsement and complementary training certificates). The study of foreign seamen records, to grant them recognition maritime securities receipts, so that they can embark on merchant vessels flying the Tunisian flag. Bilateral coordination with foreign authorities in connection with the verification of the authenticity and validity of the securities issued sailors from the maritime authority. The approval of the minimum safe manning on board ships and the organization of labor on board. Slice the litigation and established of the minutes of conciliation requests between seafarers and ship-owners. The organization of the craft cadets and cadets detached or national of the Naval Academy of Menzel Bourguiba and foreign maritime schools, so they can complete the period of compulsory internship on board commercial vessels Tunisians. Perform annual visits and exceptional visits by labor control operations on ships and determine the health and vital conditions of seafarers on board. The implementation of established quality system at the Seafarers Department. Ensure the implementation and development of national and international legislation addressing the management of the maritime fleet and especially the administration of the safety of ships. Participate in the work of national and international committees specialized in the administration and the safety of ships including their construction procedures. The maintenance and the technical study in the construction and modification of ships and, as part of the work of the Central Committee of safety and the issue of certificates of approval on the materials and equipment for maritime safety. Carry out inspections and issuing safety certificates. Representing the OMMP in the regional commissions on the field of Shipping. The registration of all types of vessels: trade, fishing and boating. Wrecks management in accordance with the law. Registration of sailors in the register of seafarers, issuing booklets Maritime Seafarers and track career at sea. Develop marine investigations following a maritime incident or accident. Oversee the implementation of the Manila amendments 2010 on the STCW Convention, which will take effect officially from January 1, 2017. Ensure proper implementation of the MLC 2006 convention, which entered into force since BEGIN of 2014 and has been ratified by Tunisia during the month of May 2016. 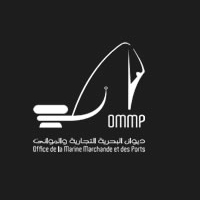 The restructuring and updating the official website of the OMMP especially regarding layoff, the benefit of foreign maritime authorities and supervised by the IMO (International Maritime Organization), a database that includes information on the Tunisian sailors titles (patents, visas, certificates …) who are called to board vessels flying a foreign flag and bilateral recognition of maritime titles. Coordination with the International Labour Organization (ILO) in order to issue a new specimen of the seaman of seafarers in accordance with the rules of the Convention No. 185 concerning documents of seafarers. Participate in the preparation of projects of decrees and orders nationwide on the entry into force of the 2010 Manila amendments. Monitor the procedures required to start up the Integrated System Project of Shipping (SIMM) to improve the services provided to citizens while reducing delays. Prepare a corrective plan following remarks raised at the IMO in the context of the audit volentaire established for Tunisia in 2010.